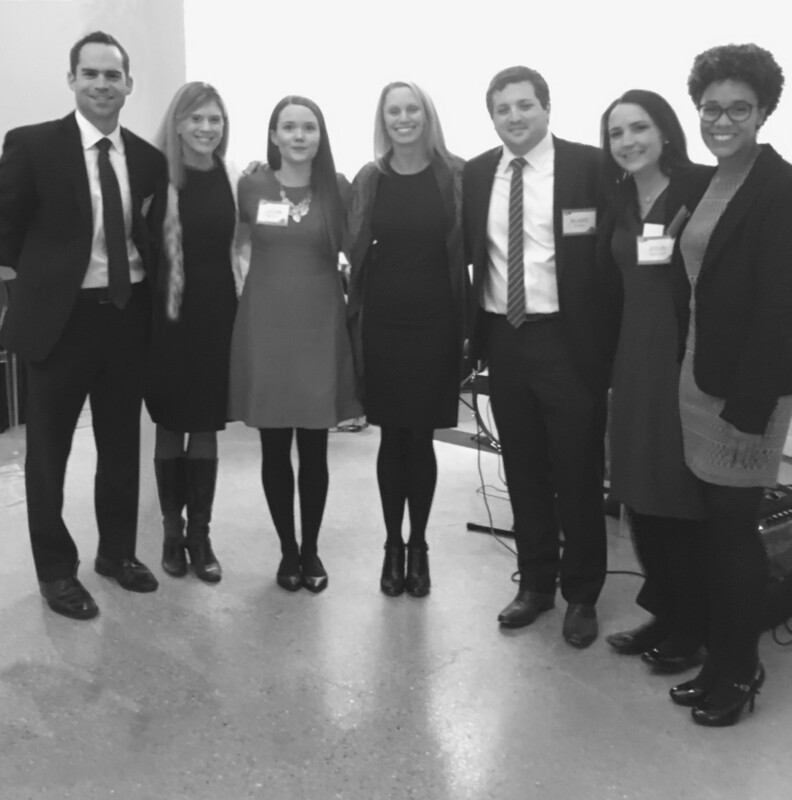 The Firm’s Alex Marks was a member of the hosting committee for the 2017 Chicago Coalition for the Homeless — Justice Circle 20th Anniversary Celebration Gala, which was held on March 2 at Chez. Through the Justice Circle, the legal community offers financial support for legal aid services offered by the Law Project at the Chicago Coalition for the Homeless. The Law Project is the only legal aid project in Illinois solely dedicated to serving people who are homeless or at-risk, helping them secure access to schools, housing, jobs or services. Pictured above supporting the cause are (from left) Alex Marks, Nora Flaherty, Helen Hapner, Elizabeth Pall, Blake Roter, Julie Mallen and Niani Scott. Not pictured were firm attorneys Greg Winters and Ira Levin, who also attended.